Phoenix Petroleum proudly showcases its portfolio during the Franchise Asia Philippines expo on July 20 to 22, 2018 at the SMX Convention Center in Pasay City. It was awarded Best Booth Design—the sixth time the company took home the award. Fastest-growing oil company Phoenix Petroleum took home—for the sixth time—the Best Booth Design award under the non-food:72 sqm. and above category at the Franchise Asia Philippines 2018. 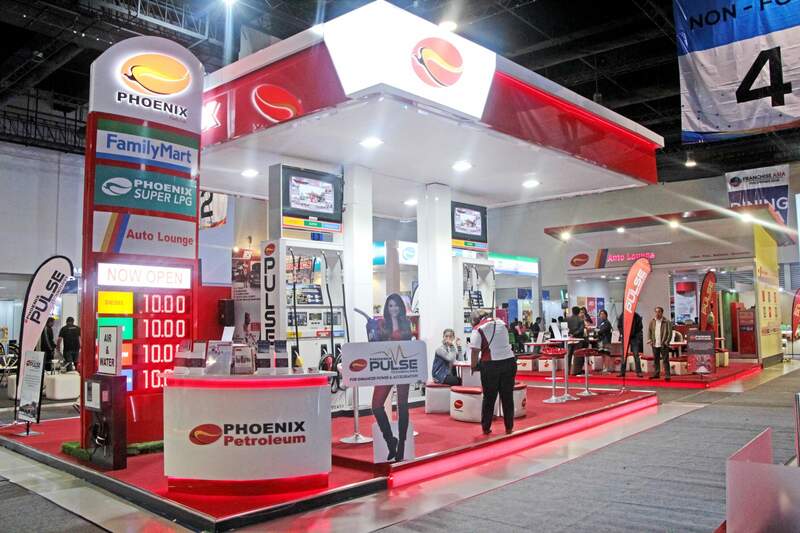 Bringing in for the first time all of its newly acquired subsidiaries, Phoenix Petroleum showcased a mockup of a Phoenix fuel station, a Phoenix Super LPG hub, a replica of a FamilyMart convenience store, and a Phoenix Auto Lounge during the three-day franchise show. The annual franchise expo recognized the booths’ impressive design during its awarding ceremony held on July 22, 2018 at the SMX Convention Center in Pasay City. Hundreds of aspiring entrepreneurs flocked the booths to inquire about various business possibilities and opportunities with Phoenix. Other offerings by the company such as lubricants distributorship and Phoenix-RCBC Bankard membership were also extended to visitors at the booths. Franchise Asia Philippines 2018, dubbed as Asia’s Biggest Franchise Show, presented more than 500 homegrown and international brands in the food, retail, and service sectors. The event is organized by the Philippine Franchise Association, the voluntary self-regulating governing body for franchising in the Philippines.